This mustard was made for pretzels, sausages and sandwiches; we loved it on top of our Homemade German Brats for an Oktoberfest party. Why buy it in the bottle, when you can easily make it at home? Become a mustard mixologist by changing up the beer you use to make a great, personalized, and easy gift for mustard fans, tailgaters, and friends with sad and lonely refrigerators. 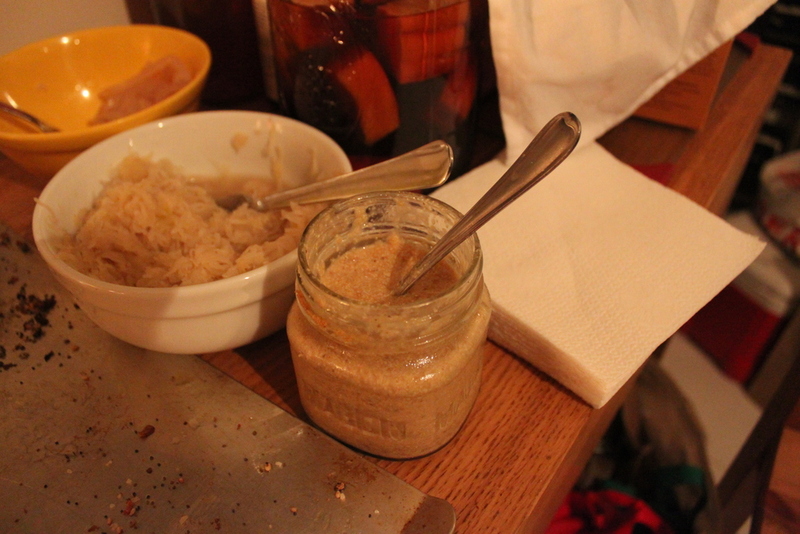 In a non-reactive bowl, combine beer and mustard seeds. Cover and let sit for 2-3 days. On the 3rd day, separate out 1/2 of the mustard seeds and set aside. In a blender, blend 1/2 mustard seeds, apple cider vinegar, brown sugar, and salt until combined. Place in an airtight container, add in the remaining mustard seeds and cover overnight before use.